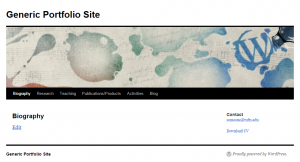 Site Templates | sites.tufts.edu - Tufts Self-Serve Blogs and Websites. 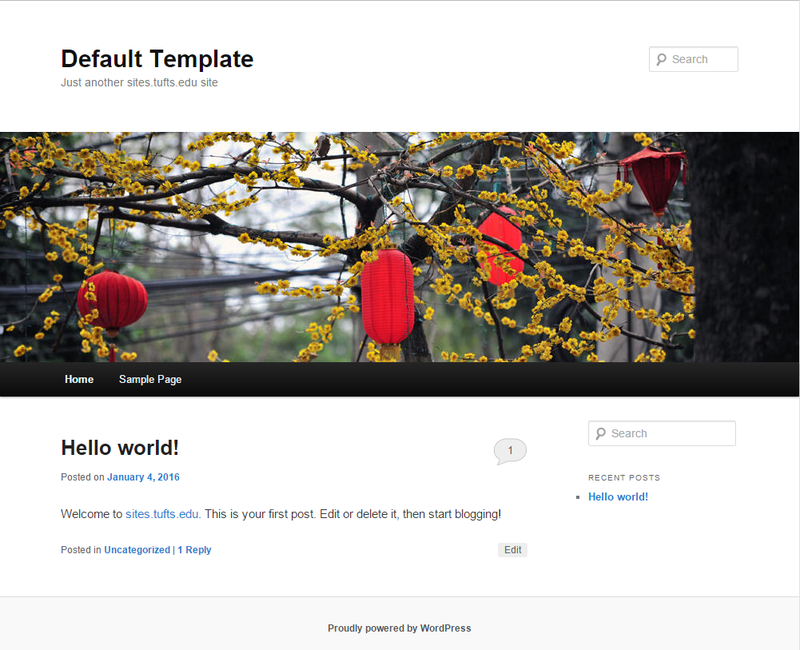 sites.tufts.edu provides you with starting templates for your new WordPress site. These act only as a starting point from which you, as site owner, can customize to suit your needs. If you would like to submit an idea for an additional starting template please email edtech@tufts.edu. 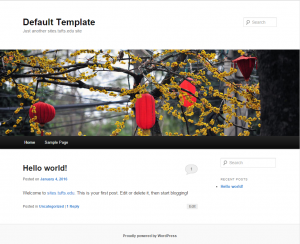 This is a basic blog template and a great starting point if you want a blank canvas to play with. 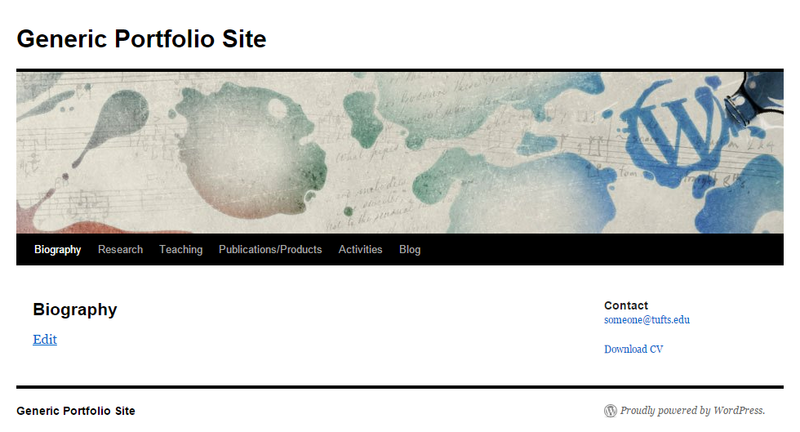 This template provides a starting point for you own personal portfolio web site. Handy for job hunting and putting yourself out there. 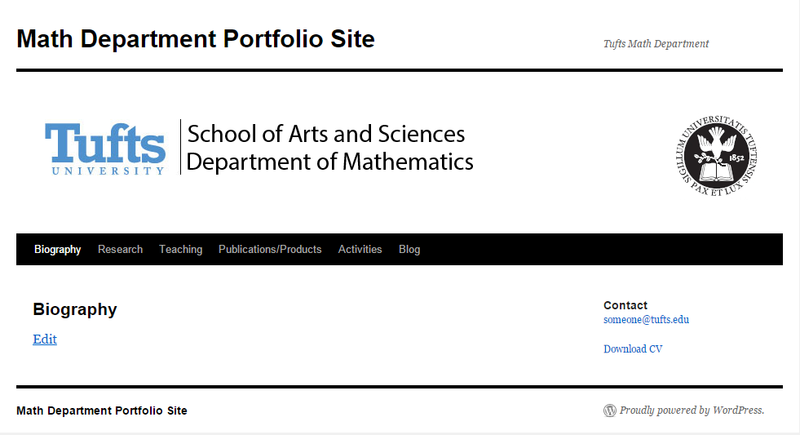 This template is just like the Generic Portfolio Site but branded for the Math Department. 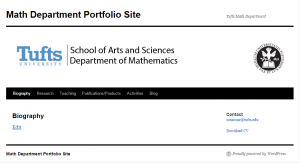 If you’d like a template with your own department’s/program’s brand please email edtech@tufts.edu. 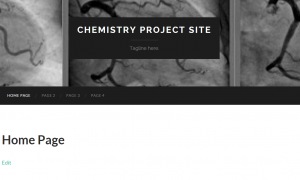 This template provides a starting point for students involved in Chemistry and Bio-Chemistry courses that require them to work on website projects.